The Big Bold Chevron Curtain pattern almost ended up with the name “Emergency Chevrons,” because they were the answer to a little emergency I discovered when we first moved into this house. The window in the master bath faces the neighbor’s house. And while the bottom half of the window came covered in privacy window film, the top half was clear as can be – and Geoff and I are both significantly taller than the previous owners! Yikes! The Big Bold Chevron Curtain was the answer! 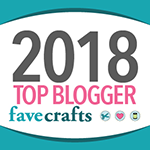 A little bit of stash from leftover projects was all I needed to whip up this lacy chevron curtain – add a tension rod and done! It’s nice and open so that the light comes in, but the bold lines obscure the view of any looky-loos. And I just love the grey and white chevrons! I’m not in love with the green paint color, but we’re still unpacking – painting is a bit down on the moving to do list. But this curtain and color scheme will be sure to work well with any future remodeling! If you’re looking for a longer curtain, it’s easy to just keep adding rows in the pattern… all the way to the floor if you like! If your window is a lot wider, make 2 and they’ll open like traditional panel curtains. 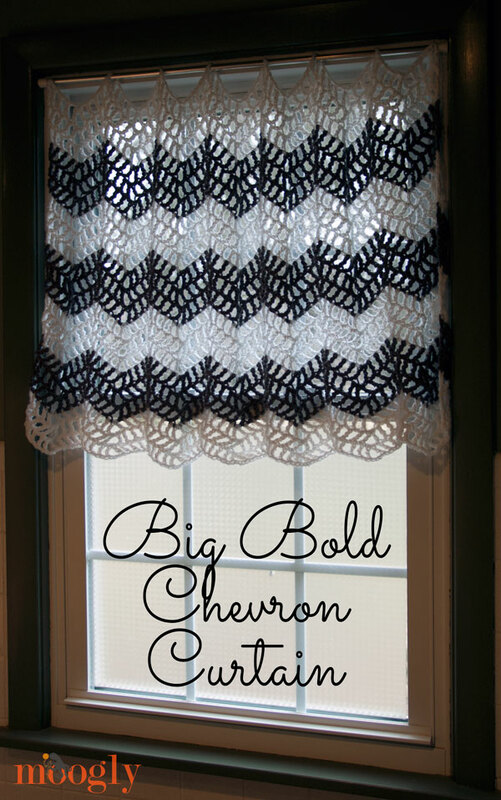 The Big Bold Chevron Curtain is the perfect crochet curtain pattern for the bath, bedroom, kitchen, living room – any room of the house! 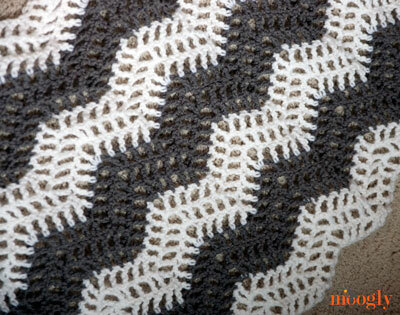 And I’ve got some coordinating patterns using this stitch coming soon too! So excited! To make wider or narrower, add or subtract a multiple of 19 sts. Row 1: With Color A, ch 138. Tr in 6th ch from hook, *[ch 1, skip 1 ch, tr in next ch] 3 times, ch 1, skip 1 ch, in next ch work (tr, ch 3, tr), [ch 1, skip 1 ch, tr in next ch] 3 times, ch 1, skip 1 ch**, tr2tog over next 4 ch. Repeat from * 5 times, then repeat from * to ** once. Work tr2tog over last 3 ch, skipping the second ch. Turn. Row 2: Ch 4 (counts as 1st st), tr in next st, *[ch 1, skip ch, tr in next st] 3 times, ch 1, in ch-3 sp work (tr, ch 3, tr), [ch 1, skip ch, tr in next st] 3 times, ch 1, skip ch**, tr2tog over 3 sts, skipping the tr2tog from previous row (in the center). Repeat from * 5 times, then repeat from * to ** once. Work tr2tog over last 3 sts, working the second half into the top of the turning ch. Turn. Rows 10 – 21: Repeat in pattern, changing colors every 3 rows. Break yarn and weave in ends, being careful to weave in each color into the same color yarn along the sides of the rows. Hang and enjoy! And now my emergency curtain is up! Best of all, Geoff and I both love it, and it’s gone from emergency to permanent bathroom fixture. I hope you like it too! This is great, just what I need for my utility porch. Was thinking of dusting off my sewing machine but like this idea better. Thank you!! 😀 Thank you Gail! 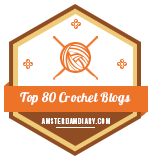 Anytime I can choose crochet over sewing I do – my machine is rather dusty indeed lol! Thanks so much! We are looking at purchasing a remodeled home with NO window coverings and this will help A LOT. 😀 You’re very welcome Pamela! Good luck with your new home purchase! Moving is SO stressful, but in the end I never regret it! Perfect–I’ve been trying to figure out what I was going to do in my kitchen to replace a very faded swag. This is perfect. Thank you. Can’t wait to see what else you’re coming up with. Dear God Woman you are so talented! Your patterns are amazing. 😀 *blush* Thank you denise! 😀 Thank you so much Christine! 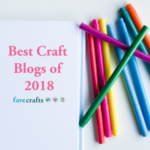 Setting up a craft room – so fun! Oh Tamara! I just love these! Thank you so much for the pattern. I am going to make some for my office window. Thank you again! You’re so welcome Penny! Thank you!! I was just thinking of making a curtain for the window on my kitchen door. This is perfect! Thank you! 😀 Yes! Thank you Janet, I’m so glad you do! I’d also love to see a video. I struggle with written patterns a little and a video would be much easier to follow. I had planned to make one for this week but a thumb injury changed my plans. Very soon though! Well, I don’t need any curtains right now but had to take a moment to tell you how much I like yours! So awesome. 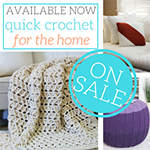 I just love your crochet designs! 😀 Thank you so much kelliinkc! I appreciate you saying so! Thank you so much for posting this pattern. I have the perfect window for this! I really enjoy all of your patterns. 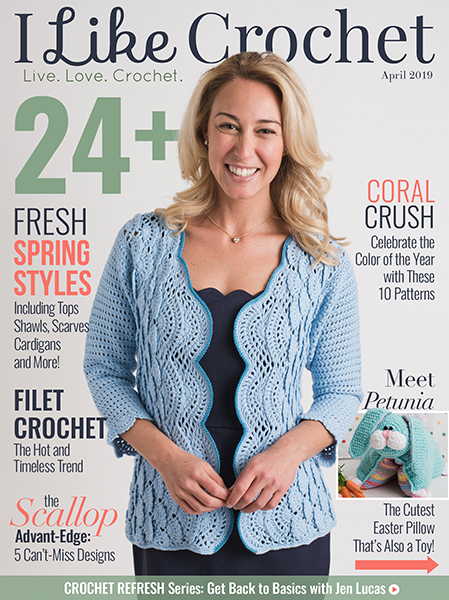 Hi Tamara, thanks so much for the great pattern! They are just what I need for my little living room windows. 🙂 I am already working on them and I need help, though!! In the 2nd row and on, am I doing the Tr stitches into the chain 1’s of the first/previous row? Or the stitches surrounding them? Thanks! Thank you for this clarification. I was a bit confused by this as well. That’s what I thought it just didn’t feel right at the time. Thanks so much!!!! Thank YOU! This should work out for sliding glass Doors! And Fast too! 😀 I’m so glad you like them Sheri! I used acrylic for these – though I think cotton would work well too! But acrylic is usually a little lighter weight, so less pulling or sagging. I will be moving soon and just know this great pattern will be needed. Thank you for sharing it. I can hardly wait to see the other projects you’re planning. Thanks so much Laurie! Best of luck with your move! Love, love, love. 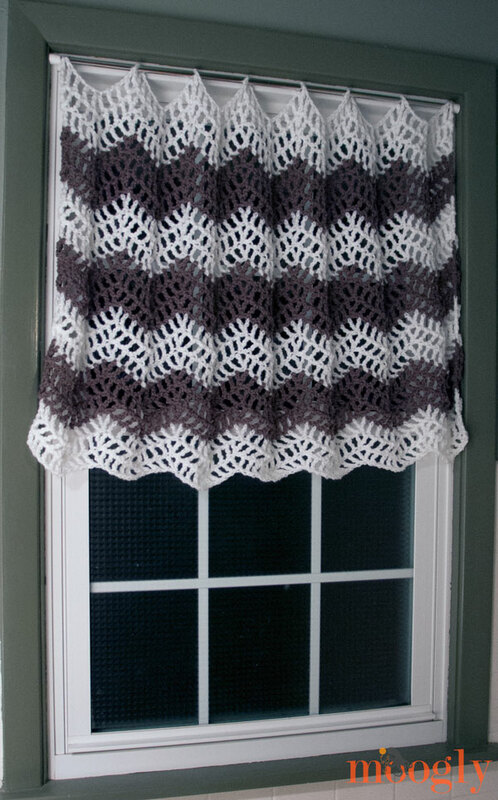 I had been searching for a crochet valance/curtain pattern that was appropriate for my rather uncertain skills and for our mountain cabin. I believe this is just what I was looking for. 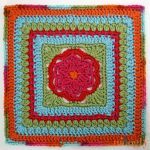 Thanks so much for sharing your pattern! I LOVE this pattern, so does my boyfriend so I’m wanting to make it for my back door; But, I was wondering if you were going to make it smaller and not as wide what would you suggest for a chain instead of 138? Or could you tell me what the multiples are?? Hi Stevie-Ra! To make wider or narrower, add or subtract a multiple of 19 sts. I need to make this pattern 52″ wide, so I was wondering approximately how many inches does the increase/decrease of 19 sts make? 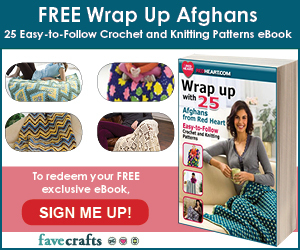 Each of the repeats was just over 5 inches wide, so you’ll want to work 10 or 11 repeats. 😀 I’m so glad you like it Sandy! Hi, thank you so much for the pattern. I have been wanting something for the bottom half of our kitchen windows but couldn’t find anything nice AND let in the light. Natural daylight is so good for our souls. I was wondering though what terminology are you using? British or English? Thank you for continuing to inspire. Is there a difference in the tr stitch from the TRC stitch? I’m having a lot of trouble with row 1. I don’t have room to do the tr2tog over the last 3 ch. Please help! Tr and Trc are both abbreviations of the treble or triple stitch. I’m not sure what you mean by not enough room? Do I repeat the tr2tog all the way across or just at the beginning and the end? Sorry for all the questions. This part you do 6 times total: [ch 1, skip ch, tr in next st] 3 times, ch 1, in ch-3 sp work (tr, ch 3, tr), [ch 1, skip ch, tr in next st] 3 times, ch 1, skip ch**, tr2tog over 3 sts, skipping the tr2tog from previous row (in the center). Then you finish the row with: Work tr2tog over last 3 sts, working the second half into the top of the turning ch. Turn. I’m confused as to what repeat across row 1. Hi Beth! You repeat the directions between the asterisks. I hope to have a video tutorial up very soon that should help too! I love the curtains! And the blanket to match! Looks like I just found what I needed for my bedroom! Now I need curtains for my kitchen? Hint! Hint! I love your patterns. So does Walmart. I keep buying them out of ink for my printer!!!! This one is definitely on my to-do list! Thank you Zarnaz! 😀 I tried to do a curtain roundup once but there weren’t very many to choose from. I’ll have to take anther look and see if there are more patterns out there now! I love you. I can’t count how many times have I clicked through on projects that I really think I would make and it’s you. Thank you. <3 Thank you so much brook! 😀 Thanks so much Terry! I hope you enjoy making it! We have a vintage RV travel trailer and I think this pattern is just the ticket to add a little retro feel to it!! Thanks! Hi Tamara! Would love to make these curtains but I am not sure what kind of “Aran” yarn I should use. Did you make the curtains using a cotton thread? If not, what kind of Aran was used? Hi Cherie! Aran refers to the weight – thicker than worsted, but thinner than bulky, most aran weight yarns have the yarn symbol “4” on them. Red Heart With Love and Lion Brand Vanna’s Choice are two popular examples – and they were used here. They are both 100% acrylic. I wanted to let you know that I just started working this pattern for the kitchen in our cabin. I am using red heart with love in white to start, and need to decide tomorrow what color I am going to use with it, though probably back. I am enjoying these so much even though I am only on the second row! I am thinking I may make some tiers to go along with the valances. My windows are huge and even though I won’t need privacy, I think they would look fantastic. Thanks so much for the wonderful pattern!!!! 😀 Thanks so much Smiley! 😀 Thanks Vanessa, I’m so glad to hear it! 😀 Thank you so much Sharon!! I’m so glad you like them! This is a great pattern. I’ll be starting it soon for my hall bathroom. How do you hang it? Just slide the rod through stitches every few inches? Just love these. Thanks for sharing the pattern. Looking forward to making! Thank-you so much for sharing this pattern, I made a set for my kitchen (2 windows and a sliding door) they turned out beautiful and I am getting wonderful comments about them. 😀 Thank you Marni, I’m so glad to hear it! 😀 I’m so glad you enjoyed the pattern! Thank you! It would be nice if there was a Dutch translation. A few ladies of the facebook page where I am a member and proudly your website with pattern have purported asked if I could do this. I immediately started writing one. and then I changed my mind. I do not have permission. So with this, I want to ask you, can I make a Dutch translation of your pattern where I your site and name listed as the inventor of the beautiful pattern. Hi Mary! 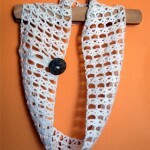 I’m afraid this is the closest I’ve been able to find: http://www.trashtocouture.com/2012/03/diy-touch-of-crochet-blouse.html But if you search through tank top patterns on Ravelry, I believe you’ll find some that have the doily look to them! Thank you so much aiLeene! I’m sorry you’re having trouble Jenni, did you watch the tutorial video? This is adorable and a great idea!!! I might want to make mine a little less lacy, but this is a nice alternative to sewing. Thanks for the instructions! Thank you Lynn, you are very welcome! 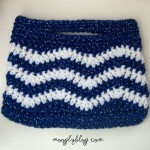 Just saw your great pattern…but…isn’t it better to use cotton yarn instead of regualr yarn? I was advised that regualr yarn will stretch and cotton will not. I plan to make these curtains regardless, but just am thinking that my friend is right…what is your opinion? Brilliant! Just what I need for one of my windows Thank you. this just what the window doctor order I have a HUGE living room window that is in dire need of curtains. 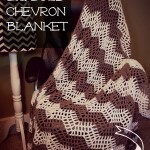 THANK YOU for sharing this pattern, I will be starting it just as soon as I figure out colors!!! 😀 You are very welcome Patricia, I’m so glad you like them! 😀 Yep, that’s it! Thanks Trish! Thank you! Just walked through our framed new house. The bathroom window is really low. Need to cover the lower half. The pattern I have uses crochet thread and will take forever (or at least more time than I have). This is perfect! I can work on it while traveling to check on the house, 2 hours away. Thank you for solving my ’emergency’. Hi Rhonda! Yay, I’m so glad you like it! 😀 We’re still using ours 3 years later and it’s good as new! Love this pattern thank you for sharing. What is considered Aran weight yarn? Brand or type? Howdy! I wanted to tell you that I’ve made one curtain so far for my granddaughter’s window. I have another to make for a second window, then a third which will be wider and shorter. I absolutely LOVED this idea! I used 100% viscose yarn in DK weight, holding two strands together as one. There is a creamy color that is continuous through the whole curtain, and it is graded. I started with a darker purple on the bottom, then the same amount of rows in a lighter shade three times. My granddaughter loves the effect and the curtain. Now I just need to get in the mood to work on another one. My issue is nothing to do with the pattern or the idea…. it’s that I don’t like to work with trebles. I don’t know why, but the second yarn over and pull thru always slows me wayyyy down. Thank you so very much for this pattern! This sounds lovely Julie! Thank you! Yes! Awesome! Just the kind of different but awesome I love. 😀 Thanks so much! Congrats on the move! The first thing I thought when I saw this curtain was WOW! That would make a great shower curtain. Hi! These are absolutely gorgeous. I’d like to try making some for my window, but it’s quite wide. I was wondering what the width of your curtain was, just so I know how many multiples of 19 to add to mine to make them fit! Thanks in advance! Thanks for the reply! I can’t wait to get started on this pattern!